In May of this year 131 pickleball players and friends from all over the U.S. and Canada came together at an all-inclusive resort in Jamaica for a week of unlimited eating, drinking, watersports and, of course, pickleball. Unfortunately, the grapevine did not reach everyone; many USAPA members and friends did not hear about the trip or were not able to participate. At the request of this year’s participants, Audrey Phillips, USAPA ambassador, San Diego and the organizer of the adventure, is planning another for 2013. 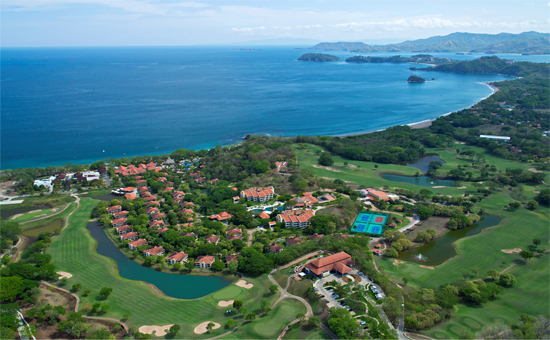 The May 2013 pickleball adventure will be held at the Westin Playa Conchal in Costa Rica. This all-inclusive resort has been selected as one of the top 100 resorts in the world by Travel & Leisure magazine. In addition to 16 pickleball courts with daily play for all ages and skill levels, focused clinics and a mini tournament, the trip package includes deluxe junior suites, unlimited food and drink at eight restaurants and six bars and special events just for our pickleball group. Snorkeling and kayaking, hiking in the resort’s nature preserve and evening entertainment are also included. Golf, scuba diving and other activities are available at a special group rate. Group airfare is also available. Eco-friendly Costa Rica lends itself to river rafting, rainforest exploration and jungle cruises. Tamarindo, an artist colony and surfing paradise, welcomes shoppers. The dates for the trip are May 2 to 9, 2013. It is open to all ages and skill levels. CLICK HERE for a brochure that you can download and print. It includes detailed information on the resort and pickleball. For more information about the Pura Vida Pickleball Adventure, contact Audrey Phillips at veryaud2@mac.com or 858-756-3356.